To promote students' awareness of things happening around the world and also creatively express themselves, a "Thought for Today" Notice Board was set up near the entrance to the Film Institute canteen. 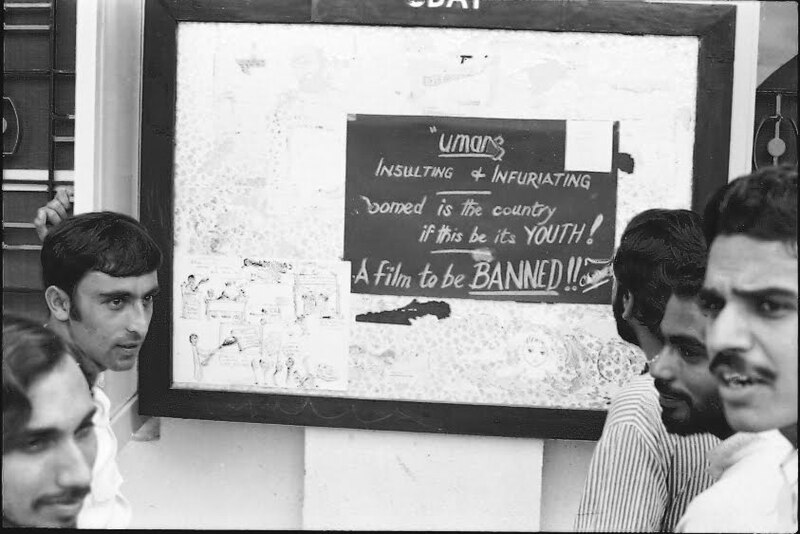 Students were free to post newspaper or magazine clippings, art work, posters etc of general interest to the student community. Those were the days of Film Institute graduates getting their share of limelight in the closely guarded Bombay film Industry. They were also featured in the National Awards - Rehana Sultan won the Urvashi Award for the Best Actress in 1970 and K.K. Mahajan for excellence in Black and White photography in 1970 for SARA AKASH. Navin Nischal and Shatrughan Sinha had become recognised Stars! So when a film like UMANG starring many Film Institute graduates came out, it raised much expectations amongst the students. The film was brought to Institute for a screening and we had a disappointing ordeal of viewing it. 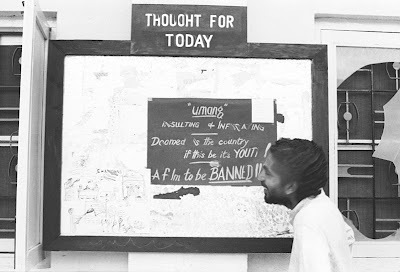 Next day the reaction was out on the Thought for Today Notice Board - "UMANG" - Insulting & Infuriating. Doomed is the country if this be its youth! A Film to be banned!! Obviously the comments were put up by the Direction students and the Acting students didn't like it. They were keen on getting in to the film Industry by any means without caring for aesthetic values. So they were all praise for the Industrywallahs irrespective of their caliber. At the 8 th Convocation butter was liberally applied by these "Chamchas" which was intolerable. I reacted by drawing a cartoon and had put it near the UMANG comments, which you can see in the left bottom side of the board! 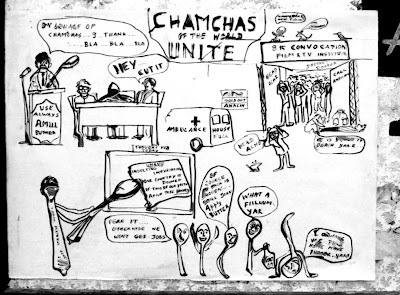 As it was unsigned , many of the Acting students felt that the cartoon was put up against them by some Direction students who were jealous of Acting students getting all the attention and glamour! They did not know that I was person who authored it !! Infact these kind of old memories from my masters always inspired me..These are Priceless! Keep posting Sir!